Dena Moes needed a change. When her sister in New Delhi became pregnant, Dena, a nurse and midwife, flew across the world to be with her and returned home with a plan: to spend eight months exploring the subcontinent, bringing her husband and two daughters along. 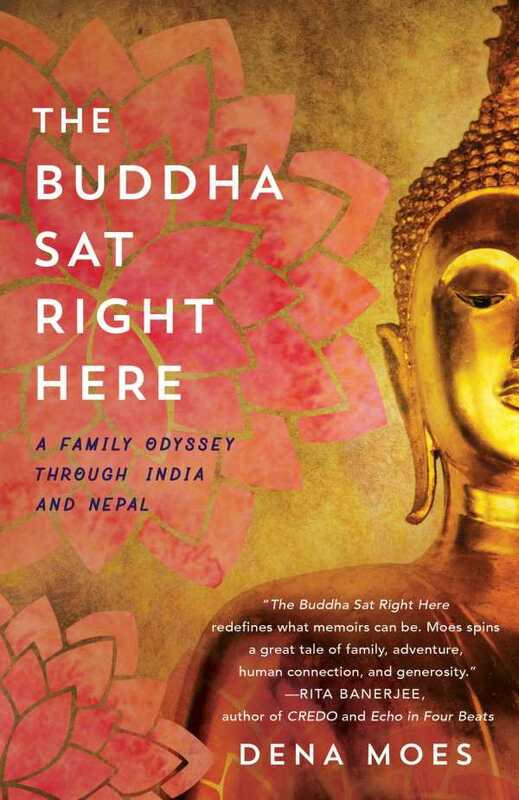 The Buddha Sat Right Here recounts Moes’s adventures in India from a literal family of perspectives, though making it clear that changing your life is less about where you go than it is about the decisions you make. In this travel narrative, not every stomach bug is a perspective-shifting experience, nor is every rickshaw driver a spiritual teacher. The book dodges the trap of turning a whole country into a self-growth tool, though it is clumsy with some details—as when hijras, India’s officially recognized third gender, are described as “eunuchs.” Still, the book carries a rare awareness, epitomized by the profound moment in which Moes realizes that her enchantment with Tibetan life is in part due to the fact that she can return home at any time. Clever snippets of Moes’s daughters’ journals, and tales of how teenage Bella and preteen Sophia see the world, offer perspectives beyond the standard personal growth trajectory, too. The family dynamics the book explores—a marriage in tension, a child’s academic struggles, the turmoil of adolescence—don’t find magical “solutions” when they’re transported to an Indian landscape. Rather, the new environment affords the Moes family an opportunity to see themselves more clearly. The result is less ethereal enlightenment than a true casting of the light that sets the stage for the Moeses’ real work to continue on their return home. The Buddha Sat Right Here, like India, is a veritable kaleidoscope of experiences. Vacillating between that of a vibrant travelogue, a heartwarming family tale, a spiritual study, and a comedy sketch, Dena Moes’s fine storytelling captures the human character of international travel.